12th – Walk on Your Wild Side Day: It’s been declared by somebody … no one seems to know who, but I’m all for it! What can you do this day … month … year … that is just a tad out of your comfort zone? Need a nudge? Try an offbeat daily excursion in your town or city. Here’s a list for Los Angeles … Wheeeeeeee! 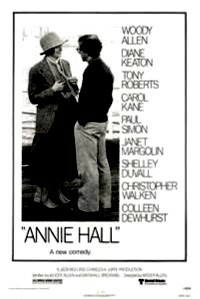 Quirky Annie Hall won best picture at the 50th Academy Awards. The 1977 movie starred Woody Allen and Diane Keaton, in a poignant romance that captured the era and endeared itself in the realm of classic movies. While Annie stole our hearts, April 22nd captured our funny bones. The Blues Brothers rocked onto the Saturday Night Live stage for their first appearance on the iconic show (back when it truly Rocked!). As Aries (March 21st – April 19th) turns its spirited back on us in mid-month, reality-based Taurus (April 20th – May 20th) picks up the slack to guide us into the rites of spring. Have you ever noticed that both Sun Signs feature horns? 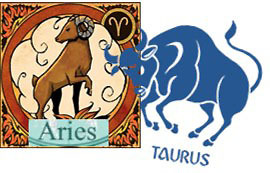 Hmmmm … says a lot about free-thinking Aries, and stubborn … I mean, practical and dedicated … Taurus. Shopping for birthday gifts? Red permeates the Aries psyche, whether they know it or not; and of course, Earth green … for Earth Day on the 22nd… falls into Taurus’s earthy spectrum. But it’s the clarity of the lustrous diamond that will capture the attention of both, as April’s gemstone. ~ Luis Buñuel Portolés; Spanish filmmaker, 1900-1983.